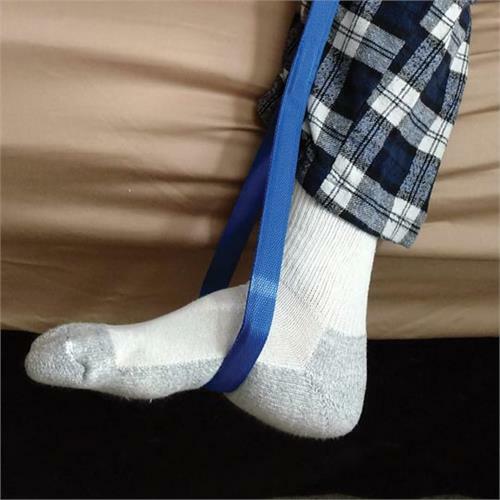 This handy accessory helps with hip to foot positioning. 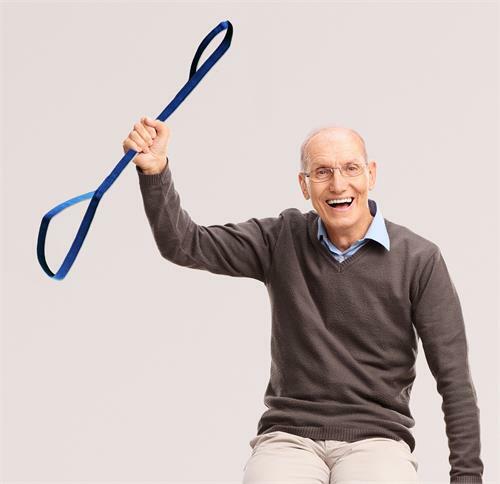 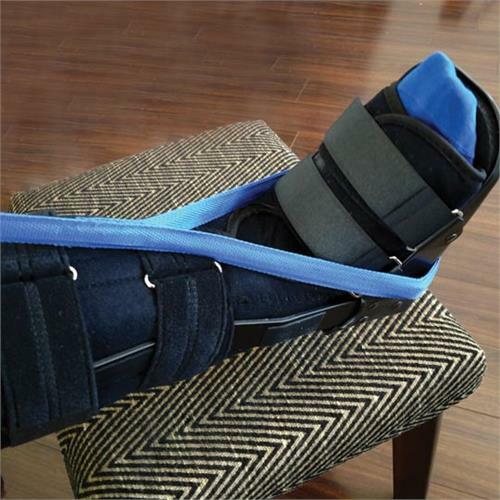 The blue nylon webbing has a springy stainless steel spine so that the leg lifter can be held straignt out for the perfect positioning. 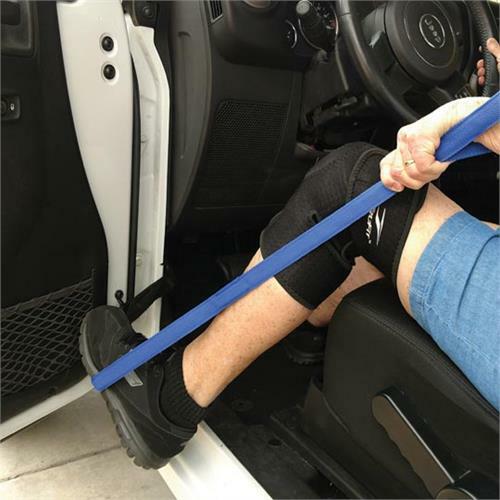 The foot loop is extra large to fit over casts and splints The flexible and padded wrist strap acts as stress-free hand hold. 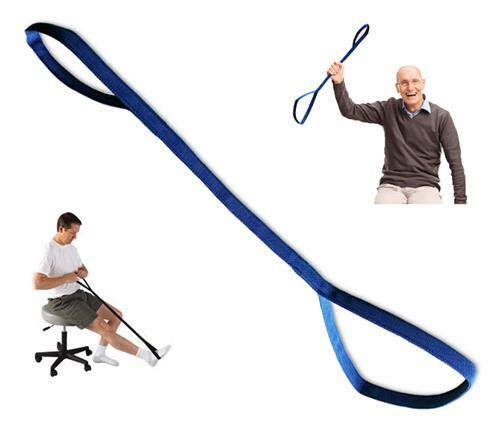 The 26" overall length is perfect for use laying in bed or sitting in chair. 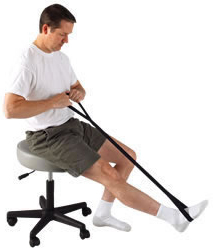 Used by those recovering from hip/knee surgery or sprained/broken ankle. The Leg Lifter Deluxe can be coiled for easy storage in bedside drawer, auto glove box, or suitcase.